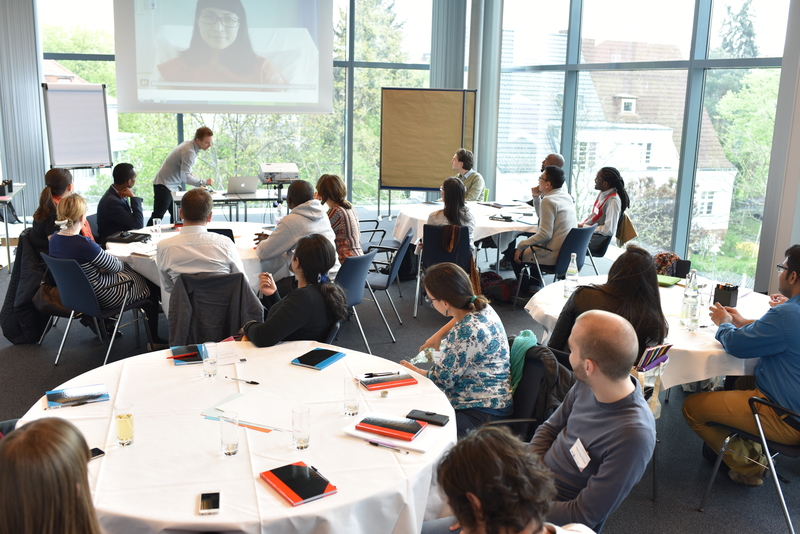 Youth Policy Labs is the leading global think-tank specifically focusing on youth and is hosted by the Berlin-based NGO Demokratie & Dialog e.V. We operate at the junction of research and journalism, producing high-quality and well-researched knowledge with the aim of improving public policies that affect the lives of young people. We champion the development of youth policies, promote young people as researchers, facilitate international discussion on youth policies, and advocate for stronger coherence within the United Nations and donor agencies on youth rights, policies and programmes. Our team is made up of youth policy experts, youth researchers, and young journalists. 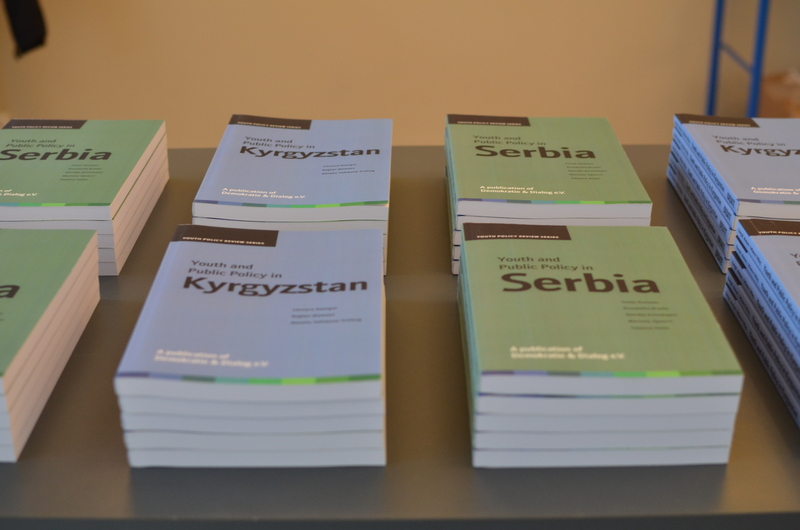 Our publications are published under Youth Policy Press, a global publishing house on youth issues. We were founded in 2011 in response to the growing interest in youth policies at the national and international level. Initially, and generously, supported by the Open Society Foundations our work started as youthpolicy.org – building a hub for knowledge and expertise on youth, youth policies and youth issues and taking a critical look at the international youth sector, global institutions, and the rights and realities of young people. Since 2014, as an independent think-tank, we have continued to strengthen own research agenda, and actively collaborate with governments, agencies and civil society on youth-focused research and technical support in designing, implementing and advocating for youth and public policies. 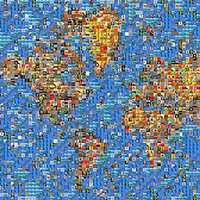 At youthpolicy.org, we are building a global evidence-base for youth policy. 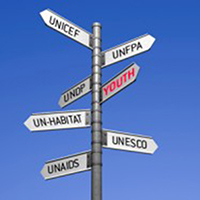 As a hub of best practice, resources and policy intelligence, youthpolicy.org provides an initial step into the world of youth research, policy and rights. Our online platform offers the most comprehensive collection of youth-related research on the web, through our Fact Sheets, Youth Policy Reviews, Library, Resources, Articles. 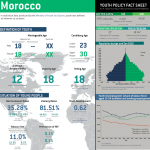 Fact Sheets – Two-page Youth Policy Fact Sheets profile the state of youth policies, youth rights and youth participation for every UN member country. They provide an introduction to the frameworks, structures and conditions that shape youth realities, and are a reference tool for policymakers, researchers and activists. Policies, Politics & Participation – Our biennial State of Youth Policy Report covers the current situation of youth policies around the world. 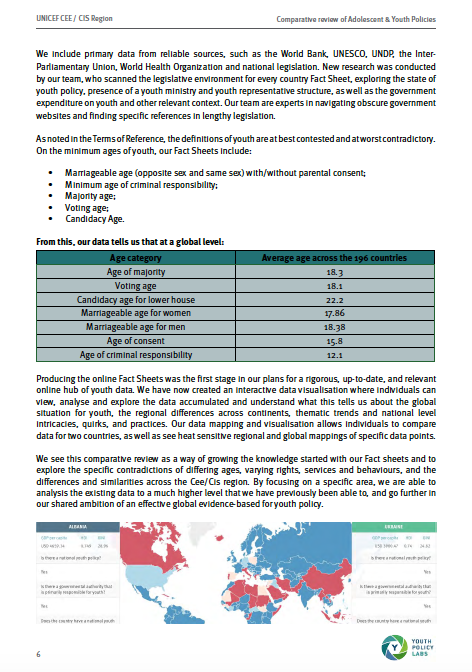 Based on our original research, it is a collation of data on theexistence of national youth policies, national youth organisations and national youth authorities from 198 countries. Browse through our overview of national youth policies for all ~200 states. Youth Policy Reviews – We analyse youth policies and wider policy sectors that affect young peoples’ lives with the aim to generate for the adoption of sound national and international youth policies. Watch our video introducing the reviews, read about our approach, dive into our methodology or browse through the published reports for Colombia, Estonia, Kyrgyzstan, Nepal, Serbia, and Swaziland. Mappings – We map the international youth sector and document youth work from across the globe in an attempt to look at the realities that are framed, and ideally supported, by youth policy. Watch our youth work documentaries and check out our mappings of regional youth scenes, the international youth sector, and donor engagement in the youth field. 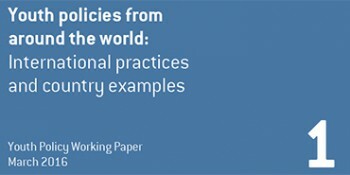 Working Papers – Our series of Youth Policy Working Papers present research findings on youth and public policy from around the world for discussion and critical comment. The initial series focuses on conceptual approaches to youth policies, theoretical discussions, and methodological challenges youth-led research. See our papers on youth policies and child and youth participation. Critical comment and review – We follow, comment and critique the activities of the United Nations, the international youth sector, and follow closely the work of the UN Envoy on Youth. We publish articles from our team and contributing authors covering on topics from youth participation and child rights to juvenile justice and sustainability. As the leading global think-tank on youth, our own research agenda in youth and public policy is complemented by our collaborations with leading international agencies and youth development organisations. 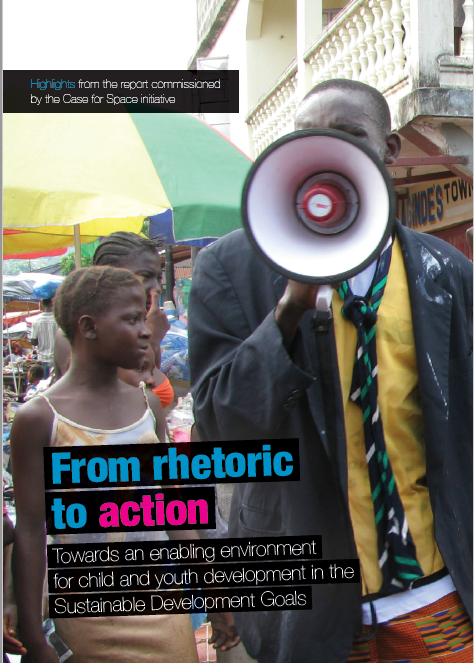 From Rhetoric to Action– This global research and advocacy initiative aimed to better understand and strengthen the environment for child and youth development, focusing on participation, protection and livelihoods. The research found that major hindrances to child and youth development exist across the globe at a time of increasing restrictions on civil society. See the full report here. – Commissioned by Restless Development, War Child UK, and Youth Business International and funded by DfID. Age Matters! – This forthcoming research centres on the importance of minimum age legislation for children and adolescents across the 22 countries of the CEE/CIS region. The findings illustrate how national minimum age legislation – and contradictions therein – weaken the realisation of both protective as well as emancipatory principles of the Convention on the Rights of Child. – Commissioned by UNICEF Regional Office for CEE/CIS. 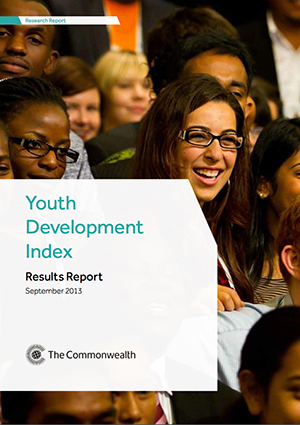 Youth Development Index 2016 Final Report – The Youth Development Index is a global index featuring 170 countries and focuses on five domain areas: education; employment; health and wellbeing; civic participation; political participation. As part of the revised 2016 edition, Youth Policy Labs contributed qualitative chapters in four key areas: youth in development; youth participation; conflict and peace; and inequality and gender. The report is due for publication in September 2016. – Commissioned by the Youth Division at The Commonwealth Secretariat. With parliaments, ministries and civil society, we support the design, implementation and evaluation of national youth policies and with international agencies and donor organisations we support the development of their youth strategies and programmes. First Global Forum on Youth Policies – We were the official technical partner for the Forum that brought together 700 representatives from government, civil society, international agencies and academia, including delegations from 115 governments, and was the largest UN-hosted youth-focus event since 1998. 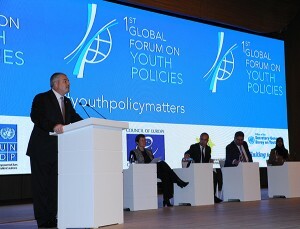 It culminated in the Baku Commitment to Youth Policies. 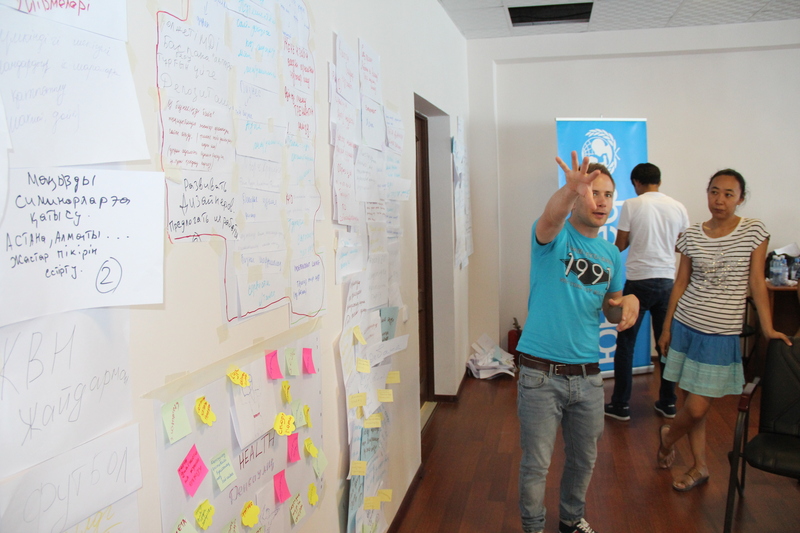 Youth Policy Development – We have supported the policy development and legislative process for youth policies in Kazakhstan (UNICEF) and Mongolia (UNFPA), providing technical input, facilitated consultations with key stakeholders, legislative drafting and areas of advocacy for international agencies. Strategic support – With UNICEF Armenia we provided strategic recommendations for the implementation of the UNICEF Armenia Country Programme Document and Country Programme Action Plan to outline the opportunities within the field of adolescents and youth. Capacity building – In the field of youth policy, youth work, and youth research we have provided capacity building training in Kazakhstan, Armenia, Mongolia, and with youth researchers from around the world. This includes the development of a large youth work programme with UNICEF Kazakhstan. Youth Policy Evaluations – Evaluations based on international practice and principles on youth policy-making were also provided for the Law on State Youth Policy (Kazakhstan), State Law on Youth Policy (Armenia), and Law on Fundamentals of Public Youth Policy (Belarus). Fancy the old-fashioned way? Our complete postal address, including phone and fax numbers, is below. Youthpolicy.org is published under ISSN 2195-2485.